Kimberley has been instructing Pilates-based conditioning and rehabilitation programs for 14 years. Her past experience as a professional dancer, a certified massage therapist since 1986, and a certified medical assistant has allowed her to work extensively with dancers, athletes, pre/post-natal women, performing artists, tweens and teens, and the elderly. For six years (1999-2005) she worked as a Dancemedicine Specialist and Physical Therapy Assistant at Saint Francis Memorial Hospital’s Center for Sports Medicine in San Francisco and Corte Madera – Dr. James G. Garrick, Director. She has worked extensively with students from Marin Ballet, Marin Dance Theatre, Stapleton School of the Arts, San Francisco Ballet School, and Studio ‘B’ in Israel. Kimberley is grateful to have studied from and worked with some of the most masterful connoisseurs of the body such as; Mercy Sidbury, Nora St. John, Marie-Jose Blom, Elizabeth Larkham, Charles, P.T., Dr. David Kell, Dr. James Garrick, David Borgensen, P.T., Deborah Rose (Director and Master Teacher, San Francisco Gyrotonic), Jane Austin (Master Yoga Teacher), and all of the M.D.’s, P.T.’s, and Dancemedicine Specialists at Saint Francis Memorial Hospital’s Center for Sports Medicine. 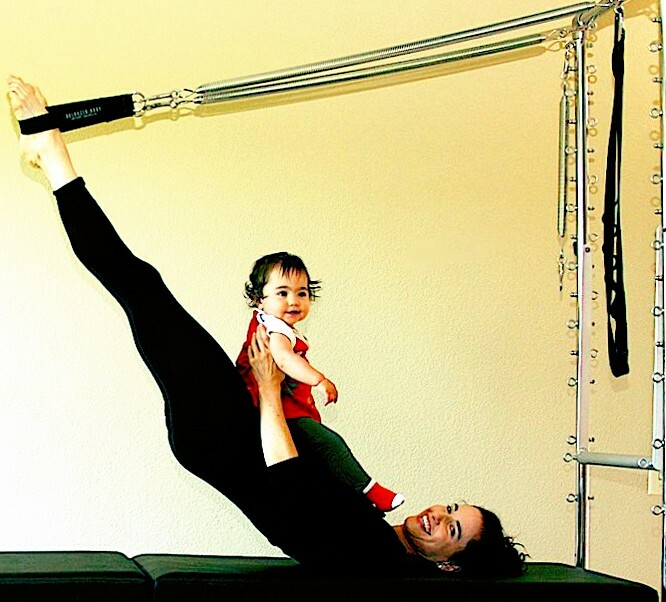 After surviving a life-threatening cervical spine injury, Kimberley was led to extensively study The Pilates Method as an amazingly powerful and refined tool for orthopedic injury rehabilitation and prevention, as well as an unparalleled conditioning program for all levels of fitness, dance, sports, and performance art. In her fourteenth year of teaching, she is dedicated to teach The Pilates Method for life-changing fitness, sports/dance conditioning, and for concurrent P.T. rehabilitation. As a new mother, she is deeply inspired to instruct and support pre/post natal (and way beyond) mothers. Kimberley is passionate to help people of all ages and professions attain their specific goals and dreams.